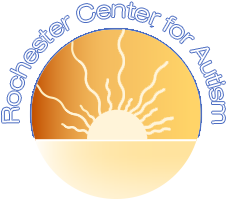 Welcome to the Rochester Center for Autism! We are grateful that you are interested in our program and look forward to meeting you and your family. The first step in enrolling in our program is completing the necessary paperwork for your child. Please thoroughly fill out each page of the client application packet that is provided below. Once you have completed the forms you may submit it by mail, drop it off or fax it to the Center. In addition to the application packet, attach all medical documentation relating to the autism diagnosis (this must include the 5 AXIS) and a copy of your child’s insurance card. Jaclyn Burton will be in contact with you when the application packet has been received to continue the intake process. If you have any questions along the way, please contact her during our scheduled business hours. The Rochester Center for Autism accepts coverage from most health insurance agencies. Please check with your current health insurance provider for benefit details regarding Mental Health, as many agencies do not provide coverage for this service. If your insurance agency does not provide coverage for Mental Health, there are specified Medical Assistance programs that will pay for these services (straight MA or TEFRA). Please contact your county case worker to apply for Medical Assistance, as they are the most helpful with this process. In the event that you do not currently have a case worker and live in Olmsted County, please call Family Support and Assistance for MA applications at 328-6500. The first step to enroll your child in the program is to complete the New Client Application Packet. This packet is located on our website for your convenience; otherwise you are welcome to come into the Center and pick one up. Furthermore, you may call the Center and ask for one to be faxed. In addition to the application packet, we also require a copy of your child’s insurance card and medical documentation that relates to their diagnosis of autism spectrum disorder (this should include all assessments that have been completed from which an autism diagnosis was derived). After your child’s application is completed and turned in to the Center they will be placed on the waiting list. The length of time that it takes for your child to be enrolled varies and is dependent upon many factors. Throughout the year we do our best to help the keep the wait time as minimal as possible. Some suggestions regarding how you can help to minimize this period of time include being flexible when requesting hours for your child and having all paperwork completed in a timely manner. When we have a tentative start date for your child, we will be in contact with you about a month prior to their enrollment. At this time, we will be looking to schedule a variety of meetings that must be completed prior to your child’s start date. Parent Meeting: The parent meeting is an opportunity for you to learn more about the Center, and it provides us with a means to get to know more about your child. We hope that you will be able to get a better understanding of our program and the services we provide for each client that is enrolled. Client Intake: The purpose of the intake day is for you and your child to meet their appointed supervisor and behavioral therapist(s) that will be working with them. It typically lasts about an hour and focuses solely on play and getting to know your child. Our goal is to have a strong understanding of items and activities that your child is interested in prior to them being enrolled in our program. When you have completed and provided all necessary paperwork and attended each meeting as designated above, you will be given a start date and scheduled hours for your child. We do our best to offer each family the therapy hours that were requested however; it may not be possible upon their start date. It is easier for us to gradually increase your child’s hours once they have started the program as opposed to declining the given hours until more become available. If you have any questions regarding the intake process, please contact Jaclyn Burton (jaclynburton@rcenterforchildren.com). RCA offers different kinds of therapy. Center-based, in-home and family skills training are all offered by quality therapists.